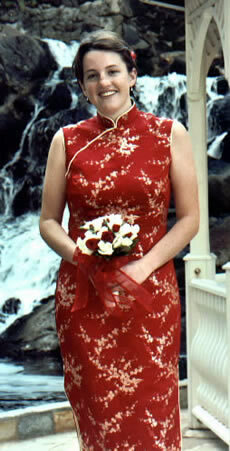 We take pride in making beautiful Chinese dresses (also known as cheongsam or qipao). These dresses are very popular and are often worn as cocktail dresses, bridesmaid dresses, and other special occasion wear. 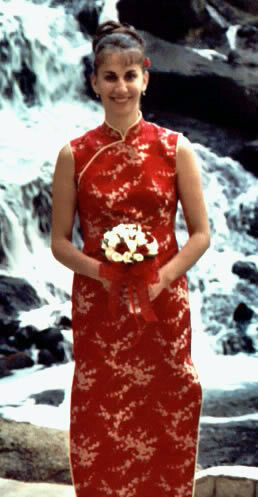 The shape of the Chinese dress is form-fitting and we pay detailed attention to measuring for a perfect fit. 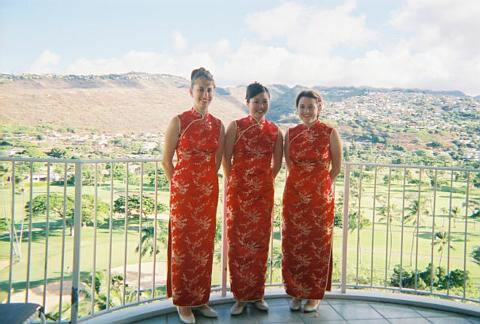 Chinese dresses flatter many different types of figures, and when decorated with the elegant and rich fabrics we use, your cheongsam will certainly become one of your favorite dresses.